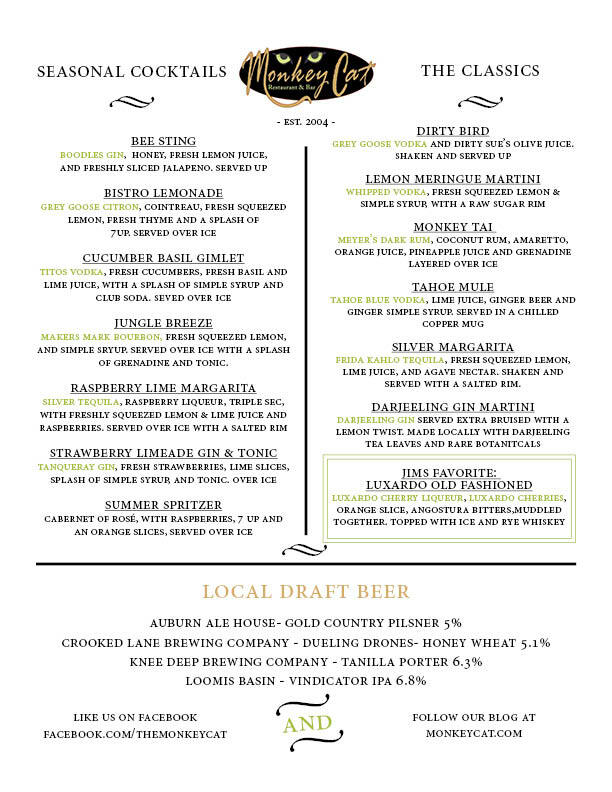 Summer 2017’s Cocktail & Wine Menu! Come in and try a drink today. We now carry local craft beers on tap as well! No Replies to "Have a drink at Monkey Cat"